Hypothermia is a real danger for pets in the wintertime. Photo courtesy of Getty Images. Adding extra layers: If your pet is small and short-haired, he or she is likely sensitive to the cold. The same goes for older pets and those that may be frail or ill. You can’t take your pet’s temperature by touching its nose, but a shivering body means he or she needs a sweater. 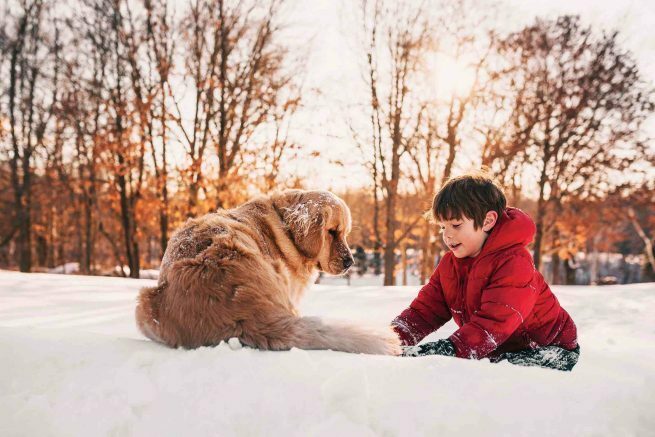 Larger and long-haired pets can usually tolerate cold weather for longer periods of time, and even though you might bundle up, your pet has a long, thick coat prepared for long winter walks. Just remember paws get cold and sharp objects may be hiding under the powder — consider putting booties on your pet’s paws for added comfort. Be the first to comment on "Help pets ward off winter risks"